Game Night: All Zombies Must Die! Tonight I played All Zombies Must Die! 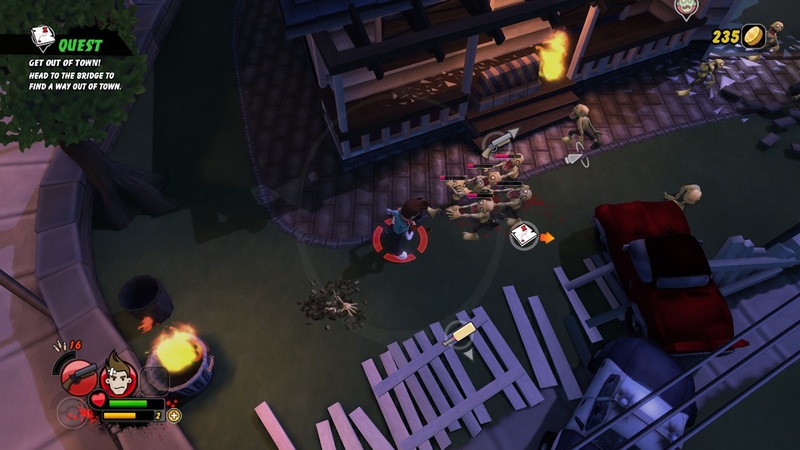 It's a top-down adventure / brawler in which the main character finds himself in the middle of a zombie apocalypse and thinks it's pretty cool. The gameplay pretty much consists of slaughtering your way across an area, using shotguns, flaming torches, cricket bats, etc. to kill various kinds of zombies. As you progress you will proceed through the story, unlock additional characters and weapons, and level up those characters. The writing is funny as this is a parody of the zombie genre, and the main character occasionally breaks the fourth wall. The game controls fairly well and the key mappings are pretty logical. Tonight I played Alien Zombie Megadeath. 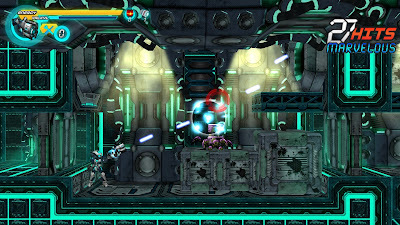 This game is a side-scrolling shooter with small levels. 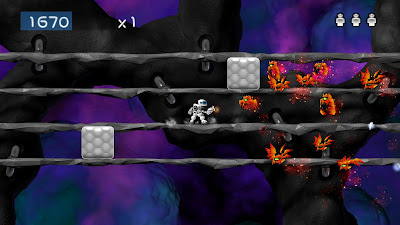 There are a few modes of play, depending on the level. The main style spawns waves of enemies (alien zombies) that you must destroy, touching an enemy costs you a life. 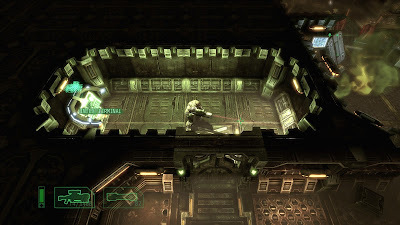 Other levels involve carrying space babies to an escape pod, disposing bombs, and avoiding environmental obstacles (or a combination of any of these while avoiding enemy waves). It's not a bad game, although the default key bindings for keyboard are not particularly optimal, especially for those of us who prefer WASD for movement. Tonight I played Alien Breed 2: Assault. 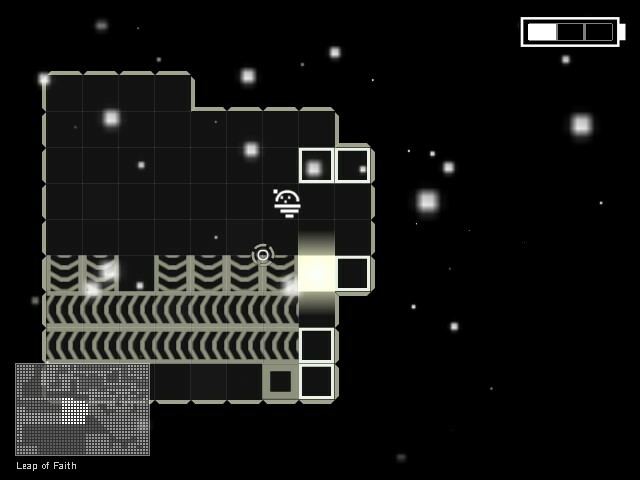 It's a top-down shooting action game where you are trapped on a ship infested with aliens, trying to reactivate the engines. It's a sequel (thus the '2') to Alien Breed. I actually got this game for free, which is why I haven't played the first one. Alien Breed 2 is pretty fun, as long as you don't mind aliens popping out of the ground and walls. The only real issue I had was that the camera angles were sometimes a bit finicky. Tonight I played AI War: Fleet Command. 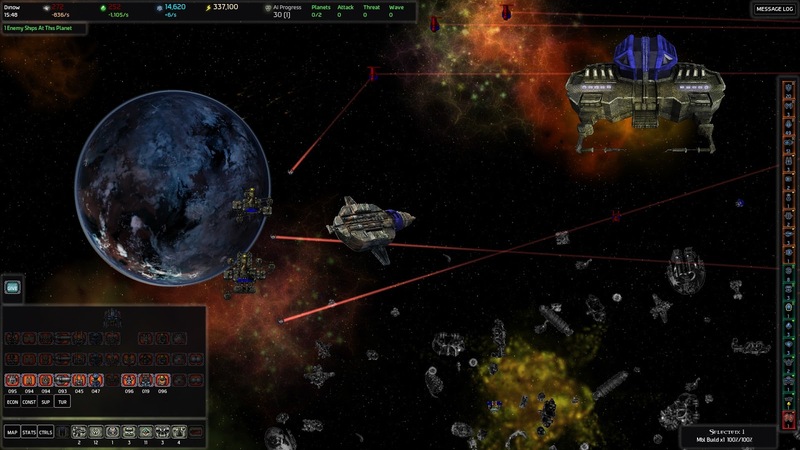 AI War is a space-based strategy game with procedurally generated campaigns. 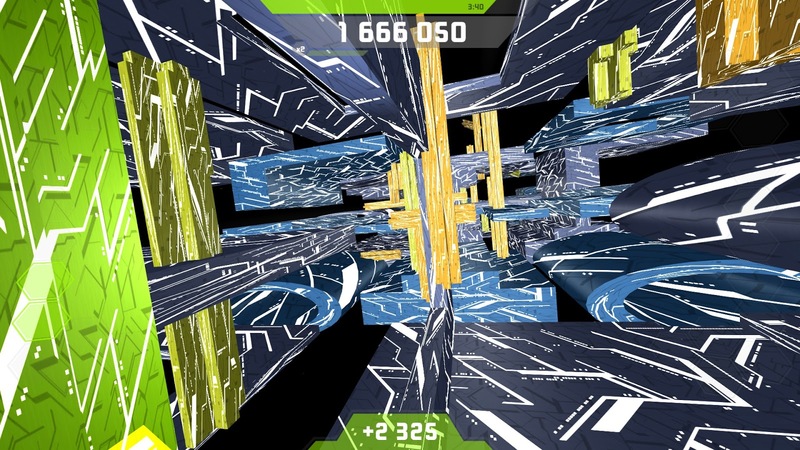 Difficulty can be manually set, or scaled based on the number of players. It's a fairly complex game, with a lot of different strategies, ships, and many other factors to consider. It's definitely a bit hard to get into this game in a short amount of time - it look me about 45 minutes just to complete the basic tutorials. From there I jumped into a campaign with beginner settings. This is definitely a game that moves much slower than some of the more popular strategy games, but I can definitely see the charm. Tonight I played AaaaaAAaaaAAAaaAAAAaAAAAA!!! for the Awesome. This game is from the same team as 1.. 2.. 3.. Kick It, and has the same falling theme although AaaaaAAaaaAAAaaAAAAaAAAAA!!! is more realistic in that you are base jumping and you can get injured by bumping the buildings or die if you land too fast. You have to deploy a parachute to land. The scoring system is similar - you need to get close to buildings to gain points. In addition to this you can gain extra points by hitting birds, giving a thumbs up to your fans, tagging buildings, and making obscene gestures at your detractors. It's a pretty fun game, although it is significantly more difficult than 1.. 2.. 3.. Kick It. Tonight I played A.R.E.S. : Extinction Agenda. A.R.E.S. is a Megaman-esque side-scrolling shooter with robots. This game is pretty fun, and I ended up playing well past my allotted hour. 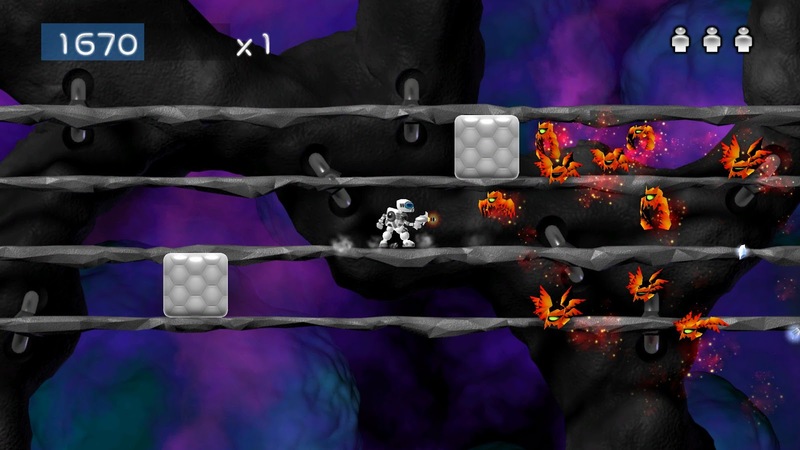 As you play you acquire powerups such as extra abilities and different weapons. Enemies drop resources that can be 'recycled' to upgrade weapons and create repair kits or grenade ammo. Levels are replayable, with secrets that become accessible with later abilities, and each level is scored based on time, damage taken, etc. so there is replay value for those completionists out there.This game is a pretty good deal because it's fairly inexpensive for a good amount of fun. Tonight I played 1000 Amps. This game is an interesting puzzle / platformer type game where you play as a little light-bulb guy trying to navigate a maze by lighting it up. It's a pretty neat puzzle to play through and some of the levels take a lot of thinking and planning to complete, not to mention good timing with jumps, and other abilities that are unlocked as you progress. It's a fairly inexpensive game, especially during Steam sales, so I'd recommend it at least to people who enjoy this sort of game. Tonight I played 1... 2... 3... KICK IT! (Drop That Beat Like an Ugly Baby) for a bit over an hour. I have no idea how or why I purchased this game, but I suspect it came in a bundle at some point. That being said, this game is much better than I had suspected based on the name. 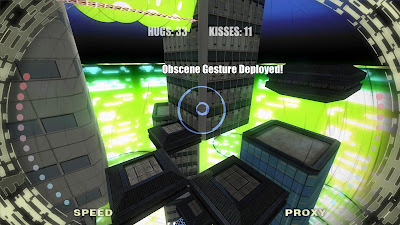 The gameplay consists of falling through a level, trying to stay as close to the 'buildings' (or blocks) as possible. 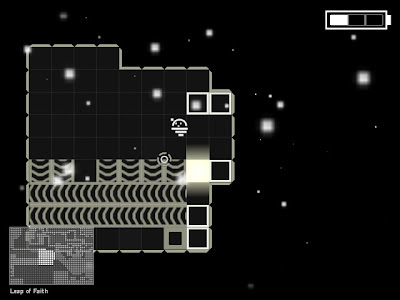 The levels are randomly generated based on the music you select. There are several built in tracks but the true draw is being able to play levels based on your own music. 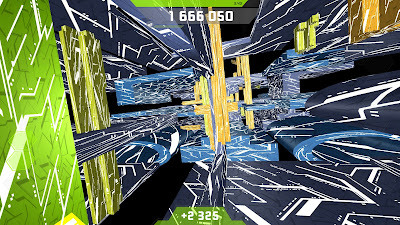 The idea is similar to AudioSurf, but levels based on slower music are still enjoyable. All in all it's a pretty fun game to just veg out and listen to music with. It's too bad about the name, because I think it would be much more popular if the name wasn't so... unusual.